We are one of the Suppliers of Eucalyptus Essential Oil, acclaimed for the supreme quality of oil we deliver. 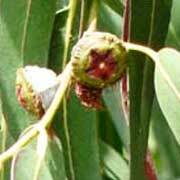 Eucalyptus Globules Oil is extracted from the distilled leaves of the Eucalyptus plant. It is a pale yellow liquid, which is soluble in alcohol and essential oil, and insoluble in water. Eucalyptus Essential Oil used on skin ailments gives an excellent result; it also combats colds and flu. Eucalyptus Oil counters head ache and arthritis, when applied to sore muscles and joints. We provide Wholesale Eucalyptus Oil to a wide network base spread all over the world.